Originally from England, John now calls Mandeville, LA home. As a songwriter and founding member of the Ozone Music Education Foundation (organizers of the Ozone Songwriter Festival), he is passionate about original music. 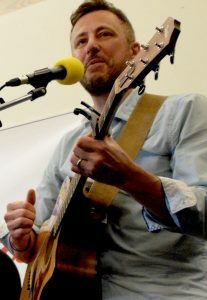 His songs bring a range of influences from English alternative such as Radiohead and Muse to his current favorite, Marty O’Reilly and the Old Soul Orchestra.